Washington D.C, Popularly known as Washington, “District”, is an independent and free federal US city. Named after the former US President, George Washington, the capital city was constructed after the Residence Act was passed in mid of 1790. Washington is a marvelously well planned city, which is the home to many amazing memoirs including the White House and the Lincoln Memorial. The population census has shown consistent fluctuations with increase and decrease in population at regular periods. What is DC Board of Nursing and what are the goals of the nursing board? 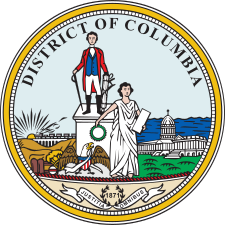 DC Board of Nursing is the administrative Board on all the nursing programs and nursing professionals working in the District of Columbia. The board (hereafter, refers to DC Board of Nursing) is responsible for approval and denial of all the nursing services and training facilities in the city. Nursing laws and regulation are mandated by the board of nursing. Any health issues and practice complaints are also dealt by the board and the respective actions taken, are also a part of Board’s responsibilities. The Board Consists of 11 elected members, which are appointed by the Mayor of DC in consultation with the city Council. Information on imposters working in the city. The per capita spending on health issues in Washington DC is way higher than any other US state. The figure touches near to $8300 mark. Though, majority of the population is health insured, yet the death rate and measure of illness has risen to alarming rates in the city. Some of the major Health issues in the federal city are AIDS, Venereal Diseases such as Syphilis and Tuberculosis. Remote medical facility centers and Mobile Health care centers have been established under the major plans by the DC board of Nursing. The board of Nursing reviews all the nursing programs and services at regular intervals for betterment of the medical facility and plans.